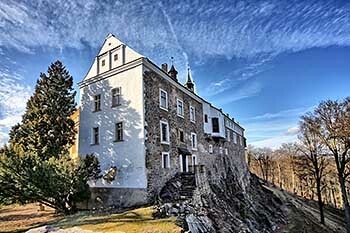 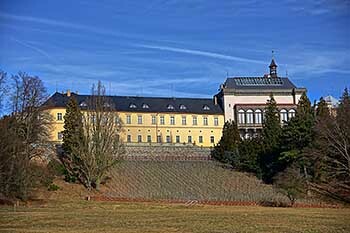 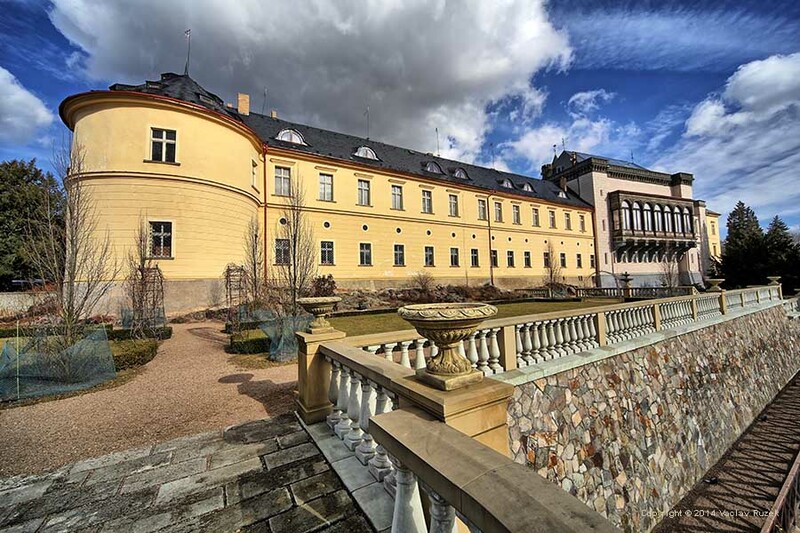 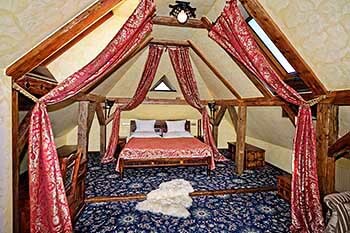 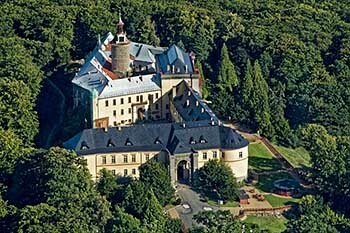 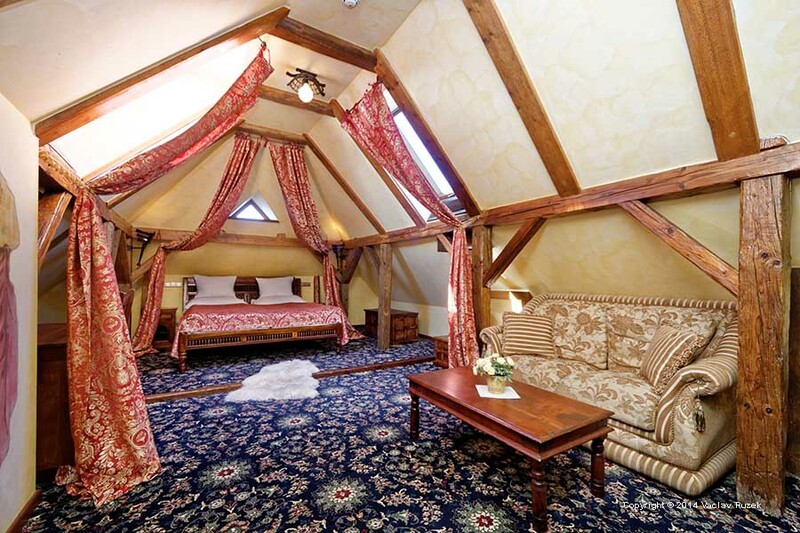 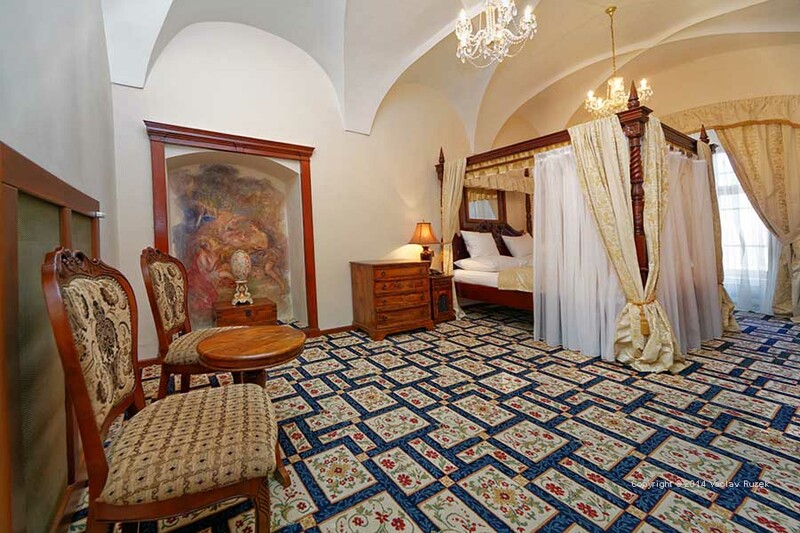 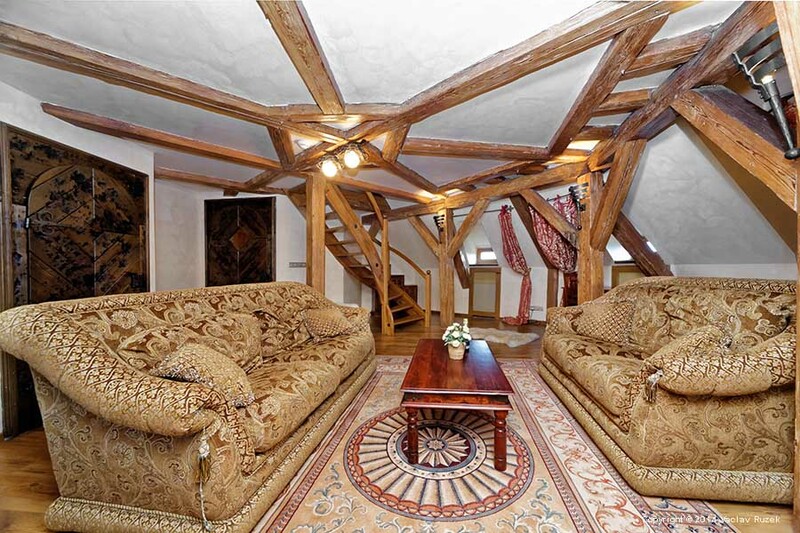 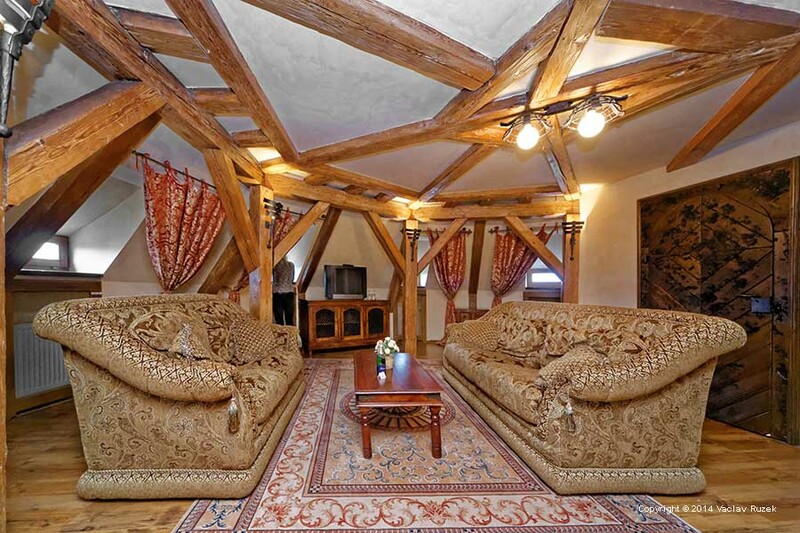 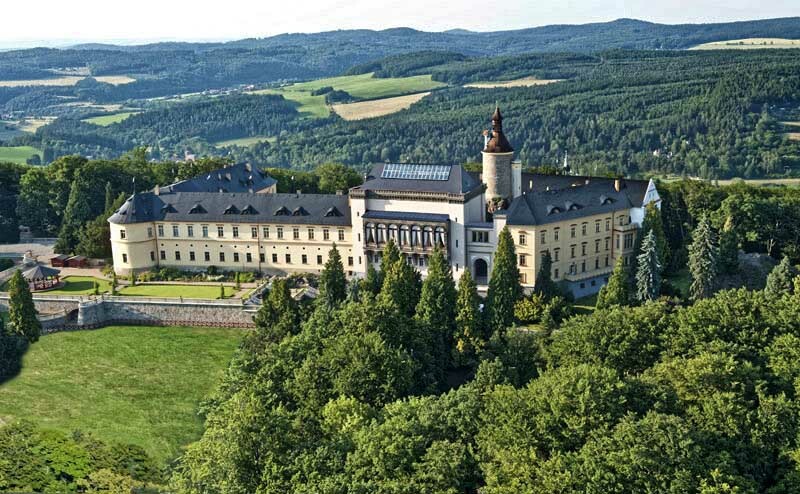 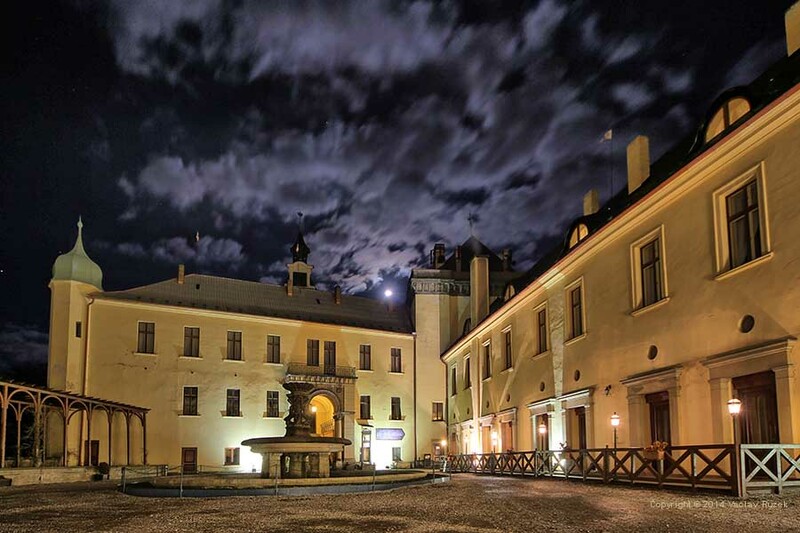 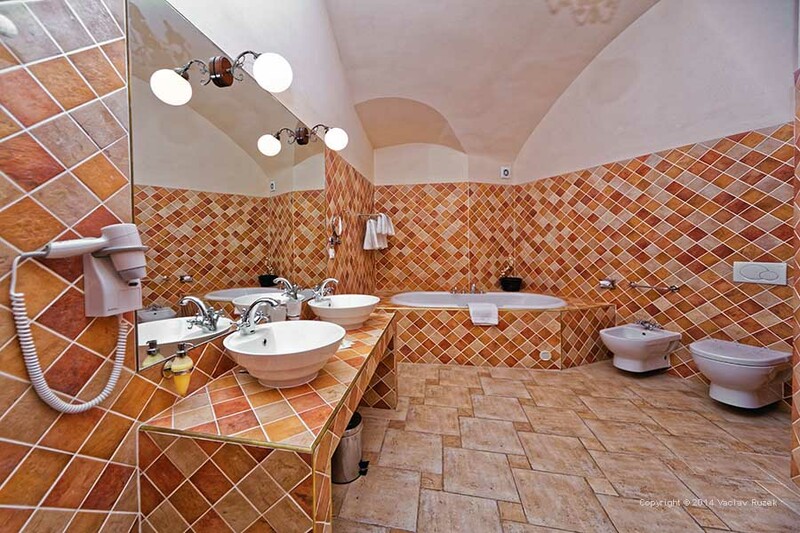 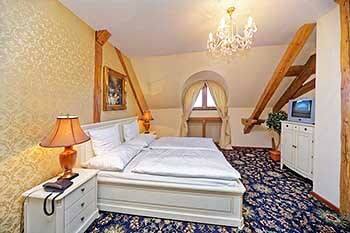 Chateau Zbiroh is located in the picturesque landscape of the Krivoklat Forest just 20 minutes from Prague. 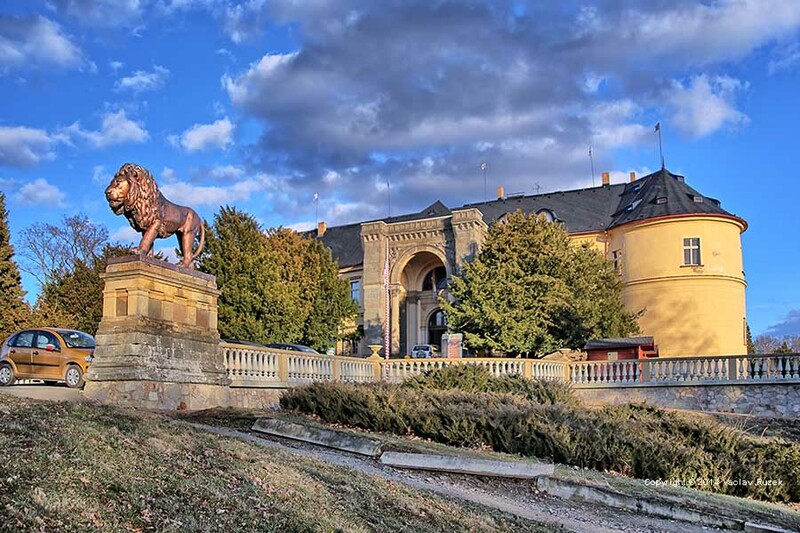 Given its easy access from Prague and Pilsen it is ideal for excursions, corporate and social events, business meetings, conferences and fairytale weddings. 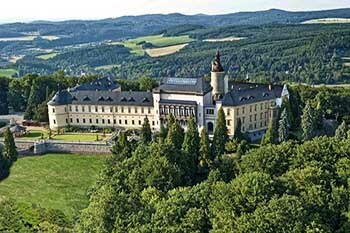 Zbiroh is the first stately home in the Czech Lands and was mentioned in church chronicles at the end of the 12th century. Over the centuries the castle was converted into the present neo-renaissance chateau. 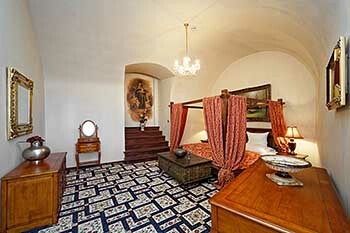 Our chambers evoke the same atmosphere as the chateau itself, which is steeped in the history of centuries. 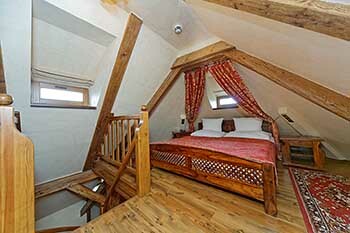 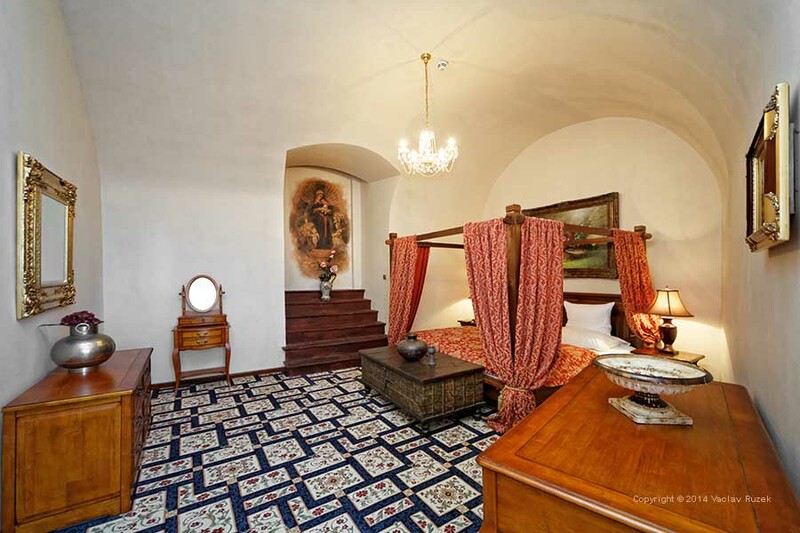 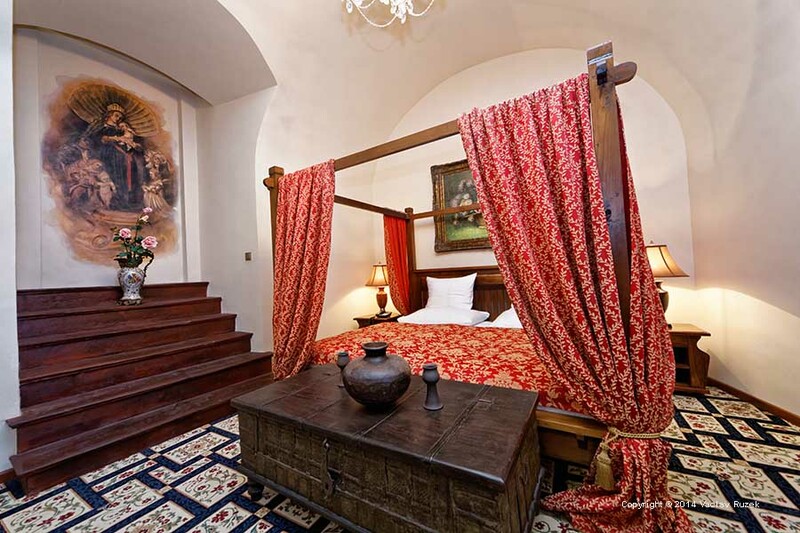 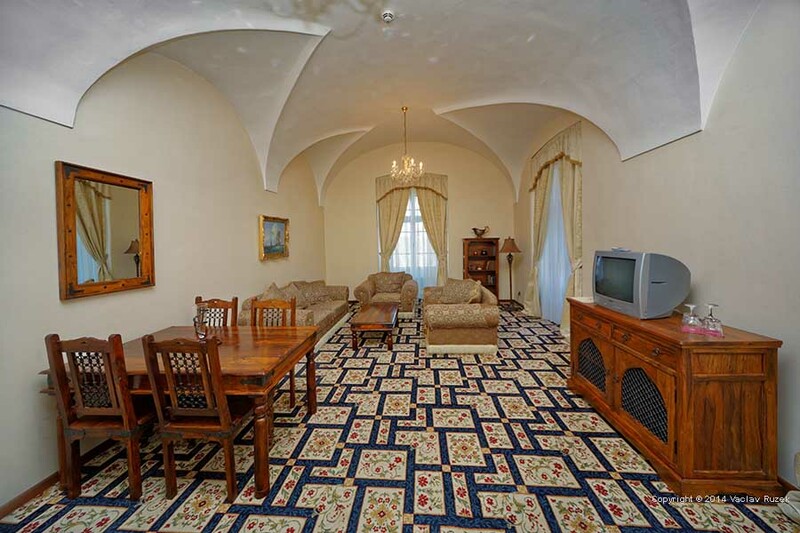 53 rooms are available and each is an original: its size, layout and the views from the window. 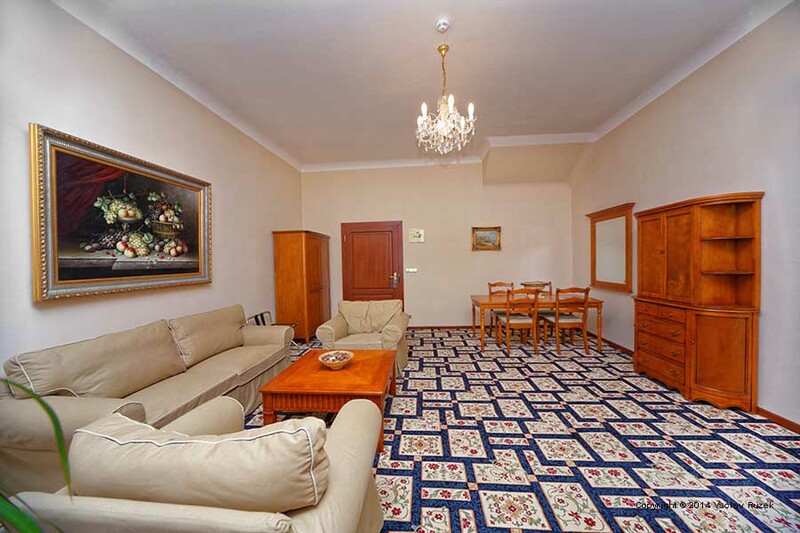 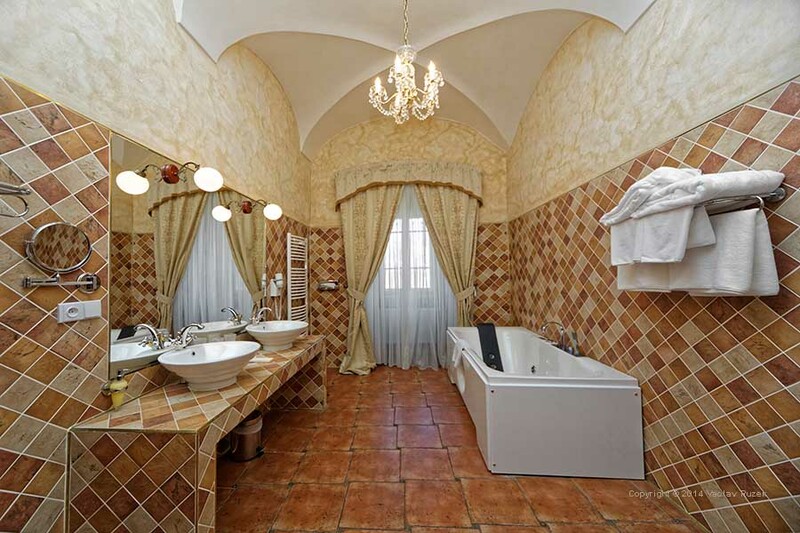 You can decide whether to take a room measuring 20 m2 or a king-size apartment measuring 110m2. Visit the Chateau Zbiroh tavern. 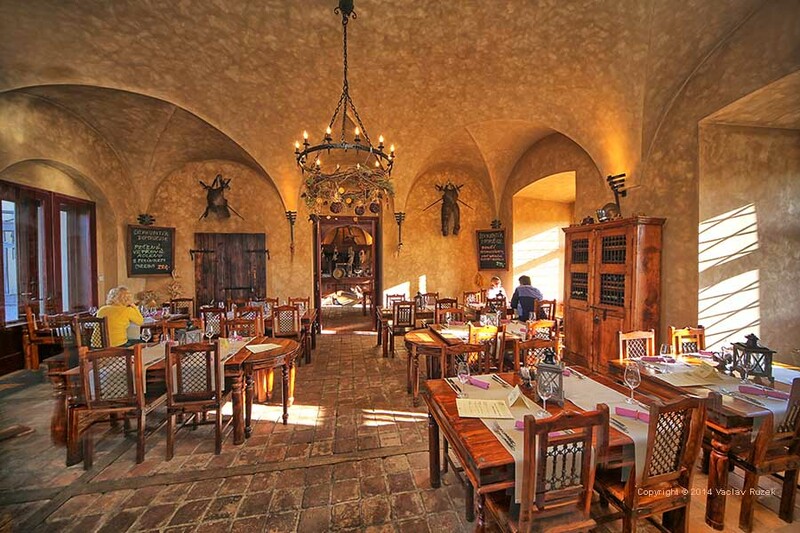 A goblet of good wine, a pint of ale and something to eat. If temperatures are tropical youll be protected by the stone chateau walls. 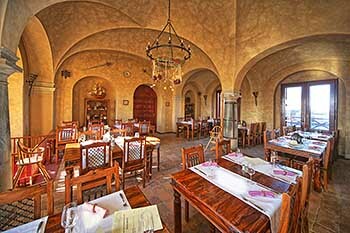 Youre sure to be impressed by the crockery, the staff in period costumes and the medieval interior. Roast boar from our oven will have everyone licking their fingers. 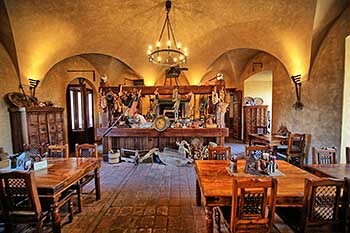 For lunch and dinner you can have meat from a sword, or order a steak from our lava grill as a treat. 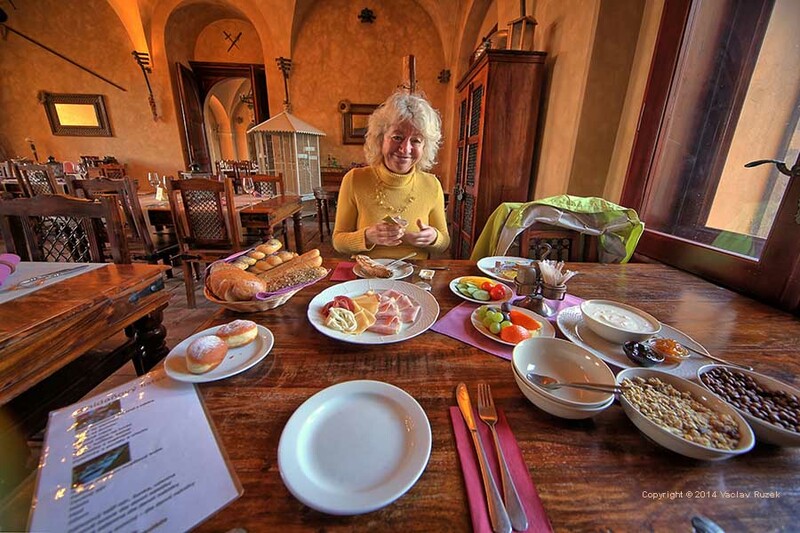 Some sweet poetry to finish with and coffee from remote Arabia. 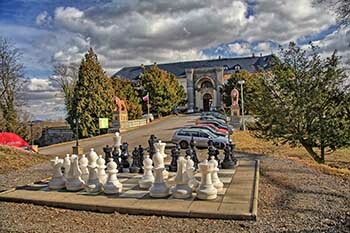 The Chateau Wellness Centre is available only for hotel guests; it is a private space that is not accessible to the public. 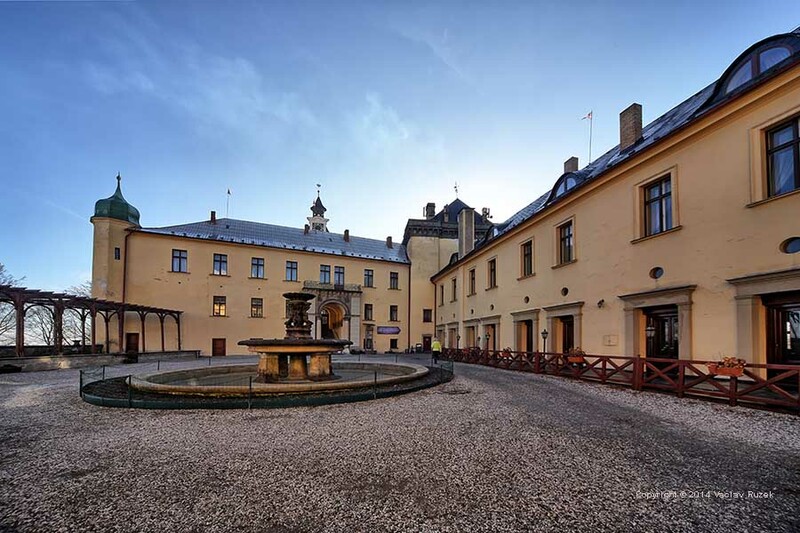 The central feature is a swimming pool with counter-current, which covers almost the whole expanse of the historic hall from the 12th century where Přemysl Otakar II sat. 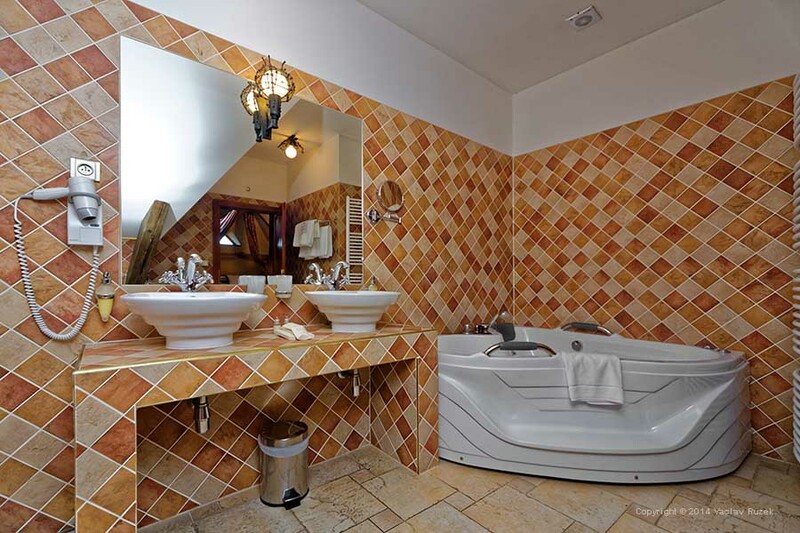 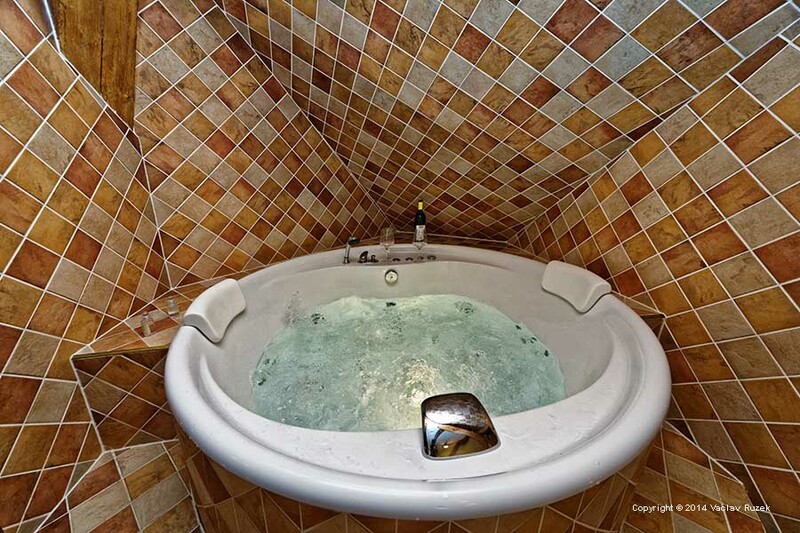 Also located here is a whirlpool tub for 3-4 persons, while in the adjacent areas it is possible to enjoy a massage or to use our Finnish dry sauna, which is also combined with an infrared sauna. 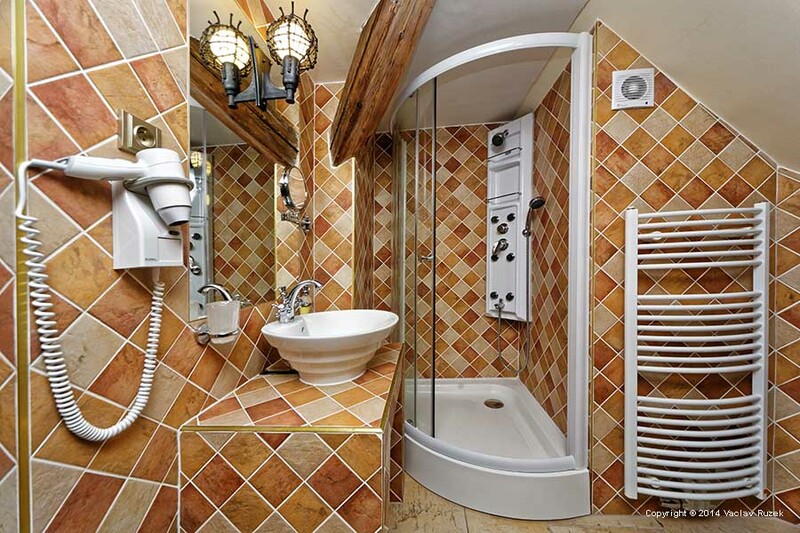 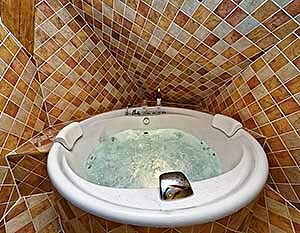 Next to the sauna is a multi-functional bathtub - shower - steam bath. 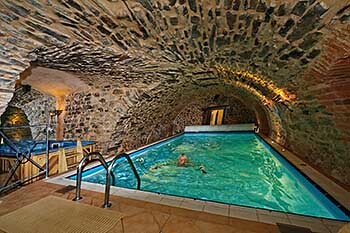 This provides individual programmes of preset procedures or a refreshing cool bath or shower after leaving the hot room. 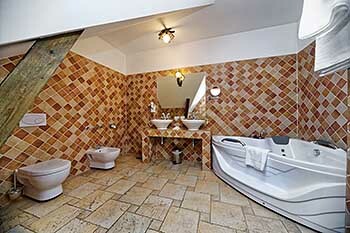 Change rooms are also naturally a part of the wellness centre, as is a small fitness centre, where aside from the "cardiozone" there is also a classic fitness set-up  a multi-purpose exercise machine. 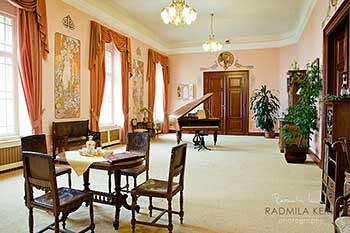 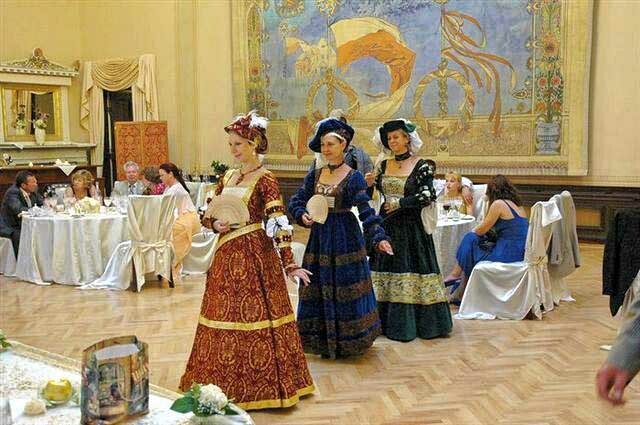 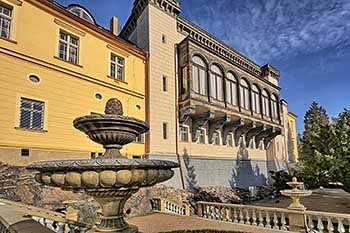 The chateaus salons and halls include the large neo-Renaissance Alfons Mucha Hall, with an original curtain by the world-famous painter, who spent eighteen years here and painted his famous Slav Epic. 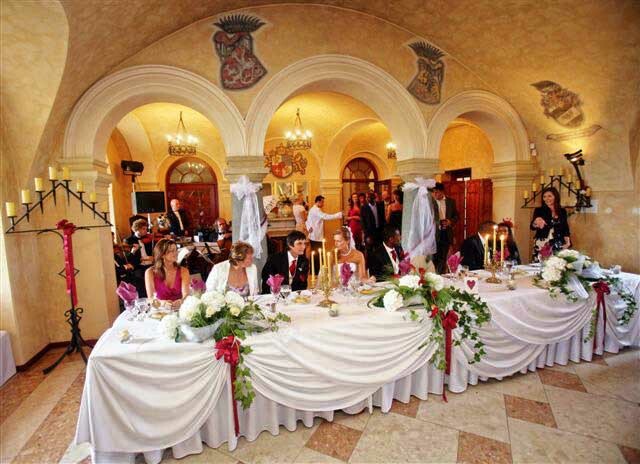 Our professional team, which has provided full catering services for fifteen years now, can help you plan your event, choose a venue, coordinate its hire and organise entertainment for the event. 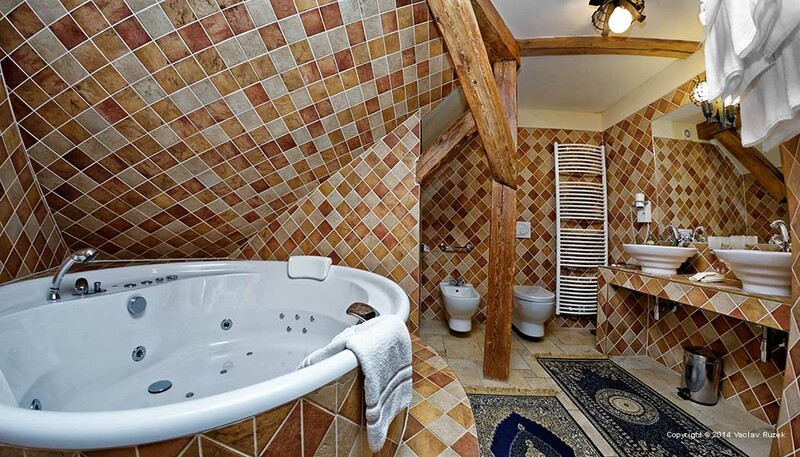 Leave all the details to us! 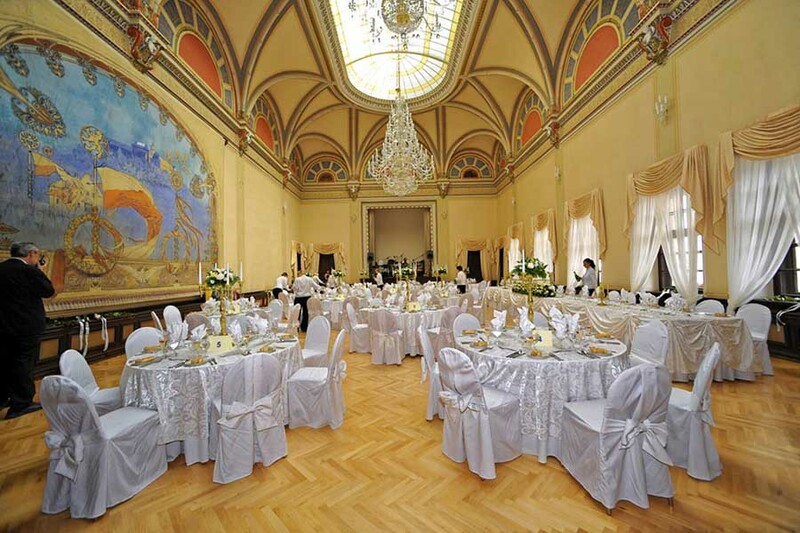 Allow our professional team to assist you in planning your entire event. Whether you need specialty linens, decor, lighting or entertainment, we can help you create special memories. 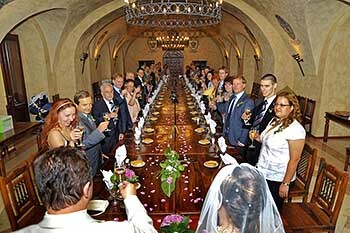 No request is too large for Chateau Catering. Thats why we offer personal attention to detail like innovative décor themes and customized food and wine menus. we can prepare everything for you wherever you would like. The Castle Zbiroh exposition is open all year. 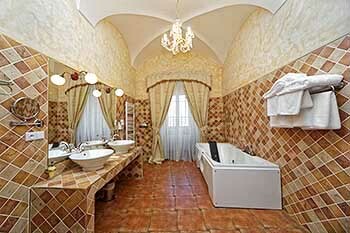 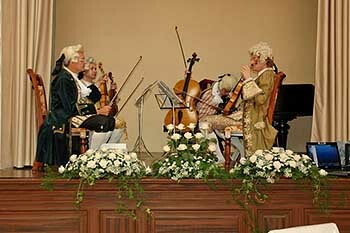 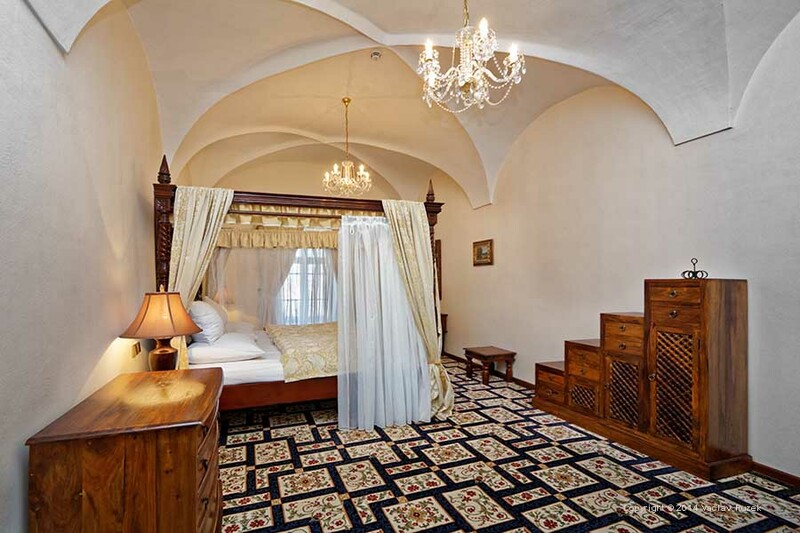 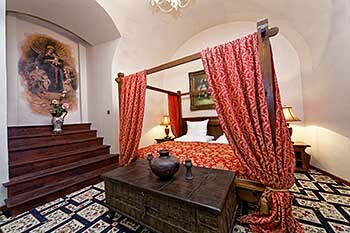 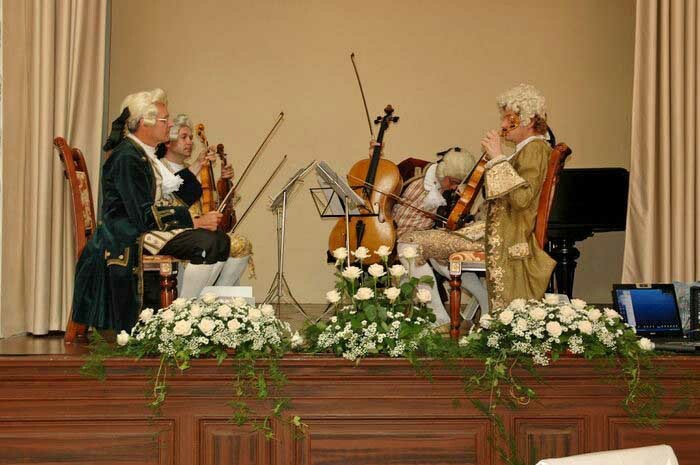 We will show you the history of Zbiroh chateau from its creation in the late 12th century until modern times. Interpretation of the history of the place is enriched by the history of the Templar order with some completely unique exhibits. 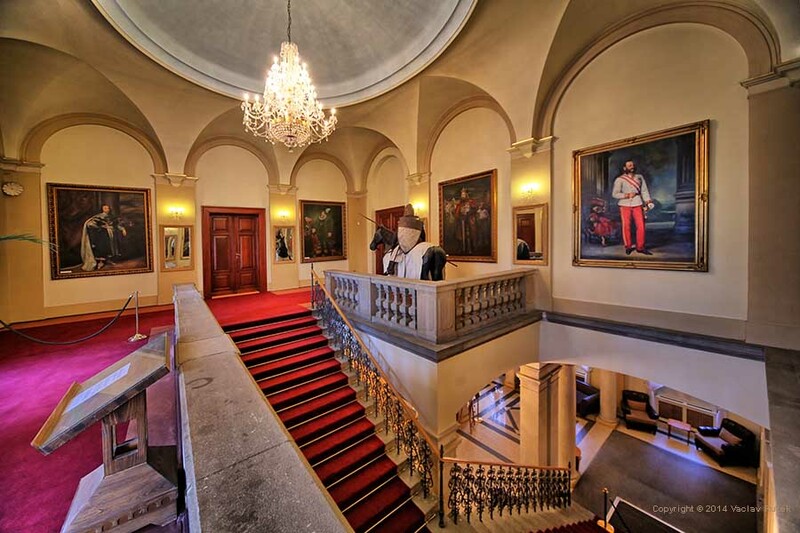 The tour includes examples of findings from the castle well, Strousberg lounge, Masonic lounge with masonic ceremonies and Secession lounge involving the formation of Alphonse Mucha, who was also a member of the Masons. 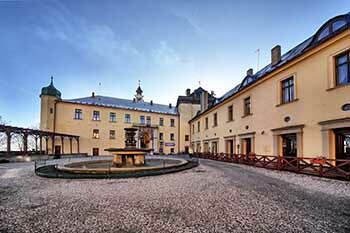 On the first Castle courtyard there is a fountain, view terrace and pergola. In summer the meals and drinks from the restaurant are served also on the terrace. The old castle courtyard has a gothic tower and the deepest well in Europe. Both courtyards are available for programs, barbecue, welcome drinks and other activity. 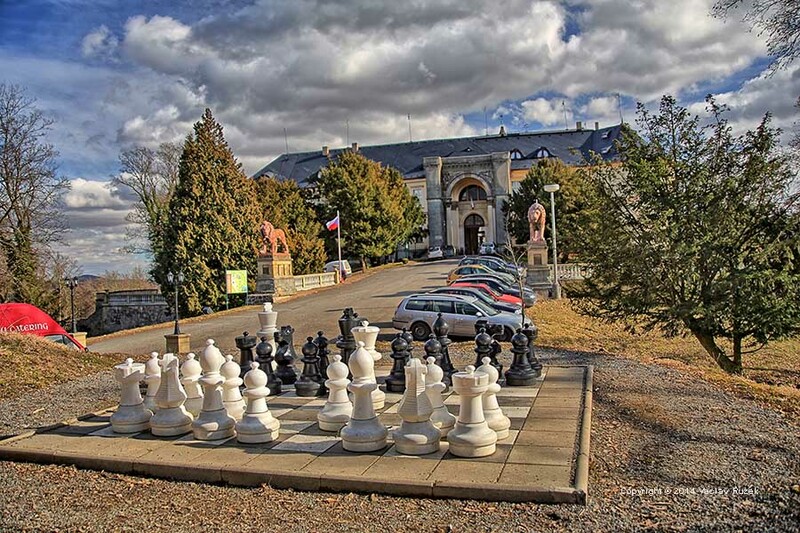 Chateau Zbiroh, surrounded by an English park measuring sixty hectares, has a large number of salons and halls, a gothic chapel and wine cellars. 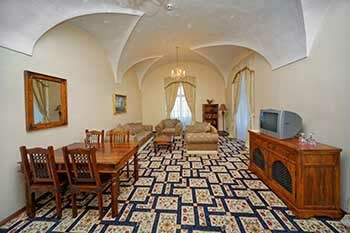 Price include breakfast, parking, and recreational fee. 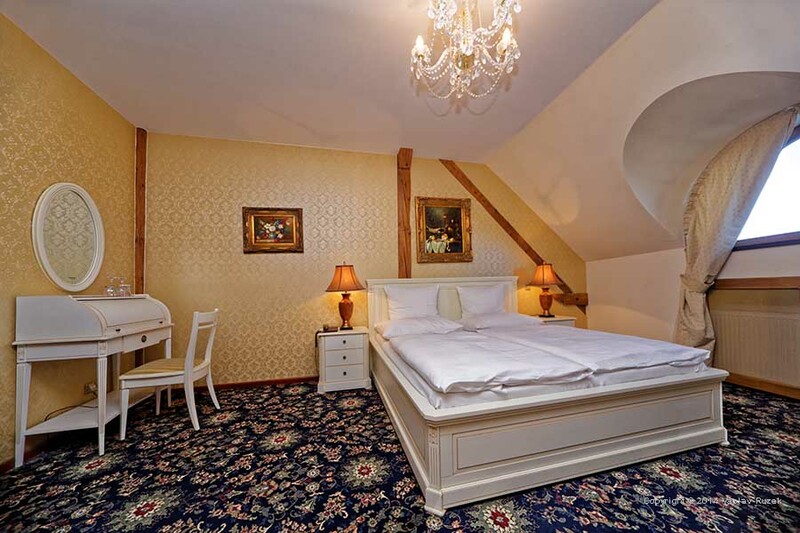 It is possible to order half board for 170/ Czk, or Full Board for 340 Czk/person/day.